The first flavors that hit me is, interestingly enough, is the flavor of SpaghettiOs, but eventually, slowly, morphs into the taste of a cheese pizza with tomato sauce. The saltiness increases, while the seasonings pick up pace The chewing has a light pepperoni flavor. 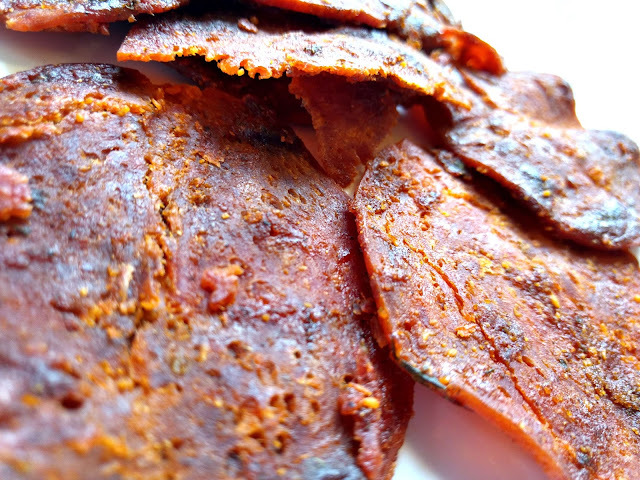 For being marketed as, "Pepperoni Jerky" and "Pepperoni Pizza", it actually holds up well. 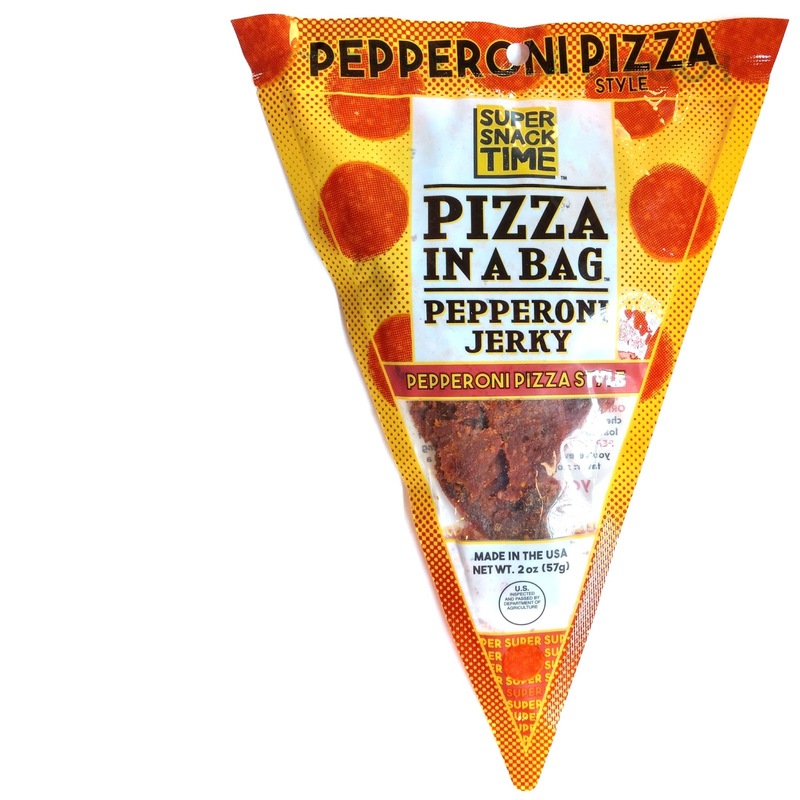 This tastes exactly like a pepperoni pizza, starting out at first more like a plain cheese pizza with a spicy tomato sauce, but eventually bringing on some pepperoni flavor. Otherwise, the primary taste profile is a pepperoni pizza with its cheesy, tomatoey, Italian seasoning flavor. The level of spiciness rates as "medium" on our heat scale (level 3 out of 5). The chewing texture is poor. 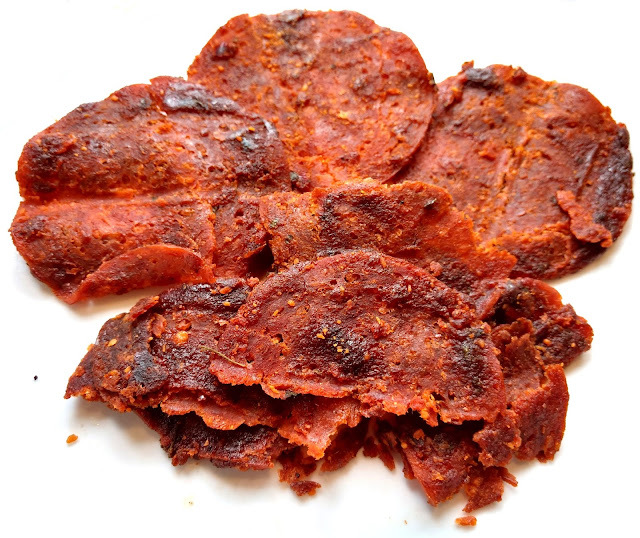 Considering this is marketed as, "pepperoni jerky", there's no chewiness to speak of. It's mushy, with no resemblance of actual pepperoni. They actually start out with a faint bit of crunch, but almost immediately mush down with very little effort, more closer to a communion wafer. If anything, they remind me of the edges of a deep-dish pizza crust where the cheese and sauce hardened in the oven; crunchy at first, but mushy in chewing. This Pepperoni Pizza Jerky from Super Snack Time surprisingly does taste like a pepperoni pizza with its cheesy, tomatoey, spicy flavorings, but only if you consider those cheap, single-serving pies served up at elementary school cafeterias to count as pizza. And that's perhaps fine, because this kind of kiddie-charcuterie is better paired with a Mountain Dew instead of a Cabnernet or Pinot Noir. On the other hand, at just $3.98 per package, it's probably cheaper than ordering a Little Caesars, and delivers all the flavors first person-shooters care to eat minus the crust. On the other hand, this stuff is fairly spicy, and may not be suited for novice tongues. For the rest of us meat-snacking aficionados, there's only a little bit of pepperoni flavor in this, and mushy, horrible chewing texture. 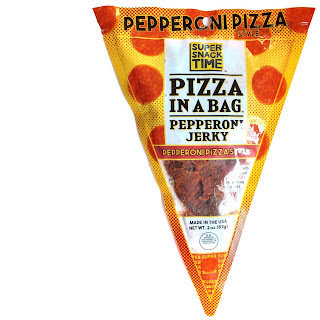 You're better off buying a bag of real sliced pepperoni and dipping them into a jar of Prego.